Collier Brown, Fran Forman, and Aline Smithson as our jurors. This is the sixth year for the Rfotofolio Call and each year the quality of work is set higher. We want to see your work. To see the results of past calls please visit Calls for Entry. For this call we want to see a well edited group of 4 to 7 images. This call is judged as a portfolio. This is an open call. Any subject, any photographic process. Starting this year we are giving three dimensional work including artist made books their own category. If you are submitting an artist made books or three dimensional work please send a 4 to 7 images of that work. Aug 25, 2018 Entries will be accepted. Nov.25, 2018 Selections will be announced on Rfotofolio. Email to rfotofolio@rfotofolio.org with Call for Entry 2018 in the subject line. Please include your Paypal invoice number. Pay with our Paypal button. We leave the fee for entry up to you so that we will not exclude anyone. When you participate in our call for entry you are supporting the Rfotofolio Fund. Thank you for your support. Send us up to seven images with your Paypal invoice number, e-mail address, website address (optional). A paragraph about your work. Email them to rfotofolio@rfotofolio.org with Call for Entry in the subject line. Poet and photography critic Collier Brown is an editor at 21st Editions, a contributing editor at Edition Galerie Vevais, and the founder of Od Review, an online, single-feature venue for the photographic arts. His essays on photography have appeared in many books: most recently, Wynn Bullock’s Relativity, Robert Farber’s Colour, Beth Moon’s Literary Chickens, and Tariq Dajani’s The Edge of Forever. Brown earned his PhD in American Studies at Harvard University where he continues to teach. Fran’s photo paintings have been exhibited widely, both locally and internationally, and are in many private collections as well the permanent collections of the Smithsonian National Air and Space Museum (Washington, DC), the Museum of Fine Arts, Houston, The Grace Museum (Texas), the Sunnhordland Museum (Norway), the Comer Collection at the University of Texas, and the County Down Museum (Northern Ireland). Escape Artist: The Art of Fran Forman was published by Schiffer Publishing LTD and was selected as one of the Best PhotoBooks of 2014 by Elizabeth Avedon and won First Place in an international competition. Fran is also featured in Contemporary Cape Cod Artists: People and Places, 2014, Photoshop Masking and Compositing, 2012, and Internationales Magazin fur Sinnliche Fotografie (Fine Art Photo), 2014, The Hand Magazine, 2016, Blur Magazine (2016), two Pucker Gallery publications, and Shadow and Light, 2015 and 2018. She was selected to be Artist in Residence at Holsnoy Kloster, Norway, in 2016 and at The Studios of Key West in 2015. Additionally, she is often asked to juror and curate photo exhibitions. 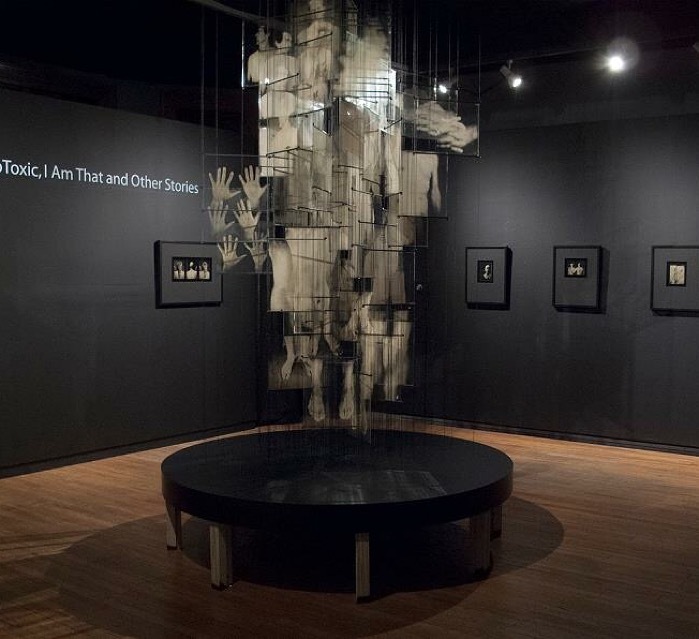 Most recently, Fran has mounted solo exhibitions at The Fox Talbot Museum, Lacock Abbey, England, The Massachusetts State House (The Griffin Museum of Photography), AfterImage Gallery (Dallas), the University of North Dakota, Galeria Photo/Graphica (Mexico), and the Pucker Gallery (Boston), as well as numerous group shows. In the past decade, Fran has won numerous significant awards and prizes; most recently, first place from the Julia Margaret Cameron awards, three awards (First Place, Gold and Silver) from PX3 Prix de la Photographie, Paris 2012. In 2011, she was invited to exhibit and attend the China 2nd Biennial International Photographic Cultural Festival and Exhibition, Lishui, China (one of only thirty Americans); she also won the second prize from the World Photography Gala Award (out of over 8000 entries) in the People and Portrait category; in 2010, she won 1st place as well as an Honorable Mention in the Fine Arts Collage sub-category for the Lucie Foundation’s International Photo Awards (IPA). She was one of the Top 40 at the LA Center for Digital Art in 2010 and 2006. She also received first and second place awards in the Fine Arts sub-categories at the Px3 Prix de la Photographie (2008 and 2007 respectively). She was also a finalist for three straight years in PhotoLucida’s Critical Mass, for an Ultimate Eye Foundation grant, as well as a winner in the Adobe sponsored Photoworkshop.com. And at the International Photo Awards 2008, she won 2nd place for Collage and Honorable Mention for Digitally Enhanced. She is an Affiliated Scholar at the Women’s Studies Research Center at Brandeis University, a recipient of several grants and Artist Residencies, and teaches advanced photo-collage internationally. Fran studied art and sociology at Brandeis University, received an MSW in psychiatric social work, and then an MFA from Boston University. To learn more about the jurors please visit their sites by clicking on their names. please click on their names.